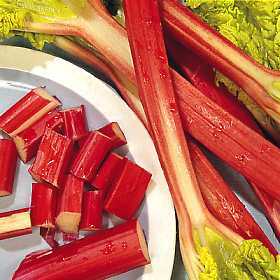 An excellent all round variety with long, red, tender stems producing heavy crops of 'sticks' each season. Large, juicy, bright red sticks. Excellent for tarts, pies, jam, wine, forcing etc. and very easy to grow in any odd corner of the garden.